TangoCode, formally GeneXus USA, is a software development company with offices in Chicago as well as nearshore in Uruguay and Ecuador. 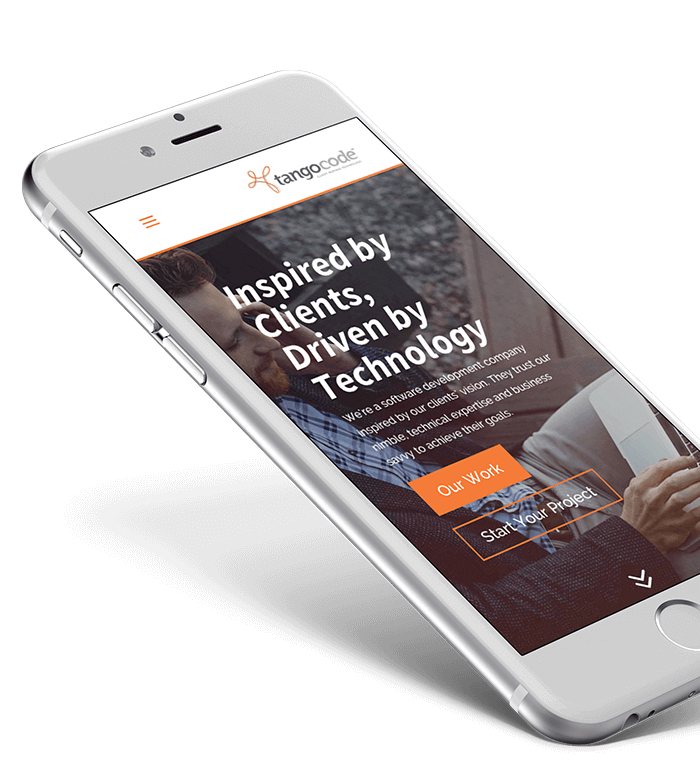 Their impressive portfolio with projects ranging from mobile applications to web and core solutions is a true reflection of their talented team. Whether small or large, near or far, they dedicate themselves to achieving your goals. 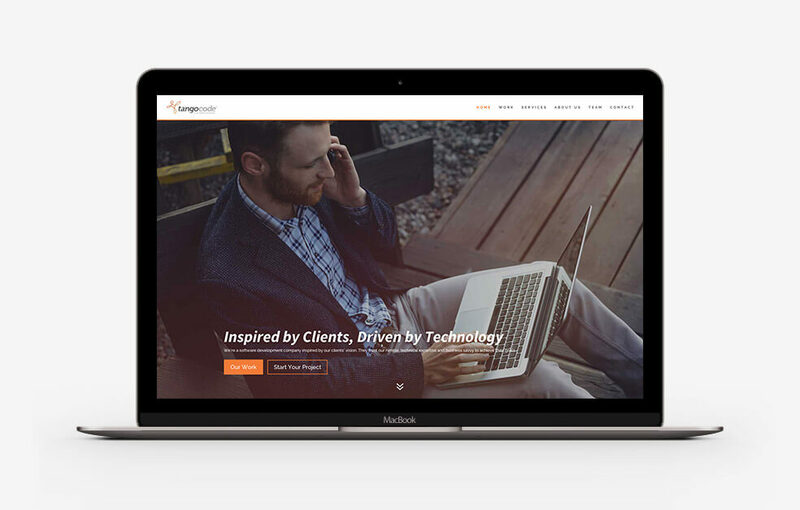 Upon connecting with this client, we learned that they were in the middle of a massive rebrand for their company. Being so, Landapixel would be in charge of designing and developing their first website as TangoCode; the website would be a part of their official brand launch! In addition to presenting their services and sample case studies, it was imperative to include an animated process page to present prospective clients with a clear representation of the steps taken to complete a project. 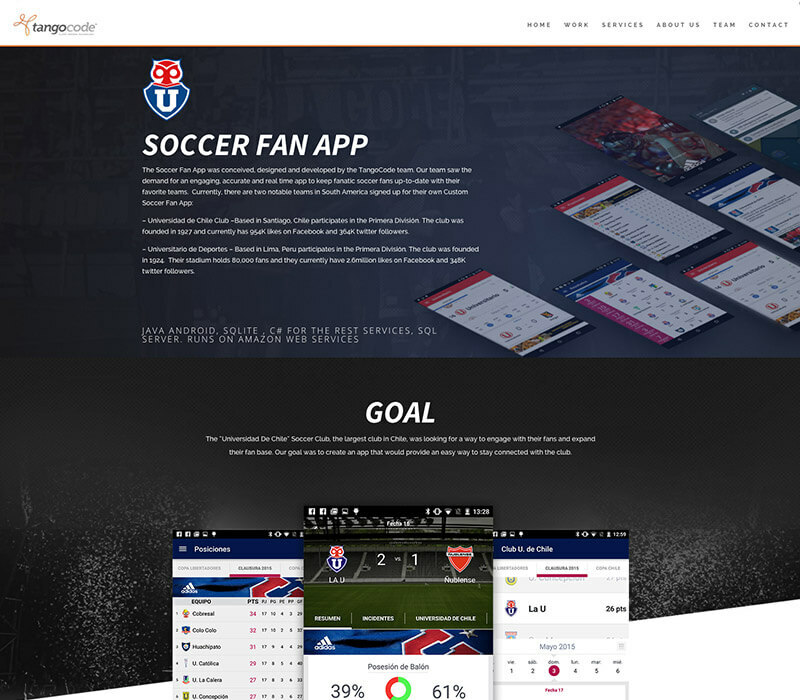 To fulfill TangoCode’s request for their process page, we designed and developed each step within their process as an SVG animation. This page can be utilized as a reference by current clients as their project progresses as well as new or prospective clients interested in learning the steps involved in a project with TangoCode. 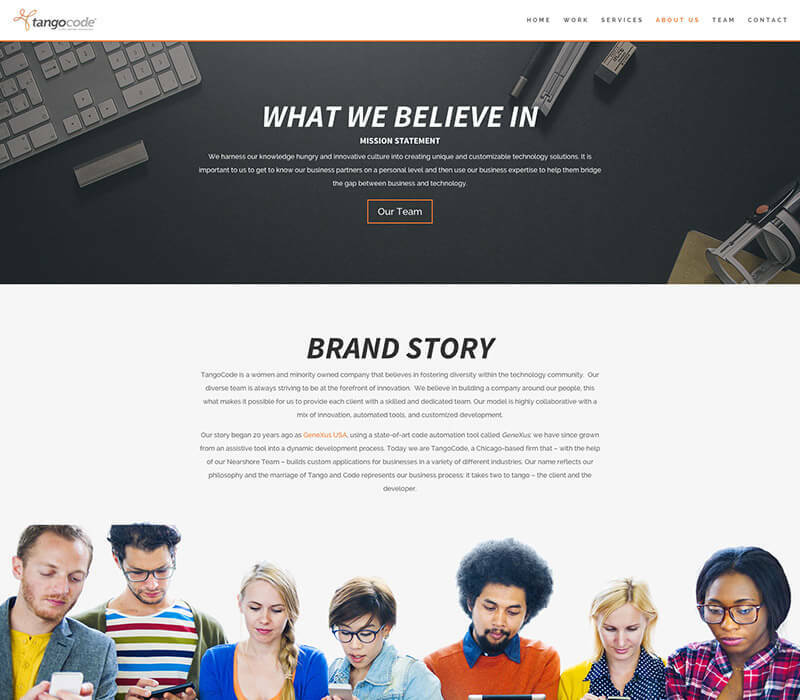 Showcasing their past work was also high on TangoCode’s website objectives. We designed detailed case study pages centralized on graphics while also offering an impressive amount of copy to fully inform audiences of the case study details. Incorporating elements such as a hand-drawn project mockup alongside the finished product enhances the viewer’s understanding of TangoCode’s capabilities. 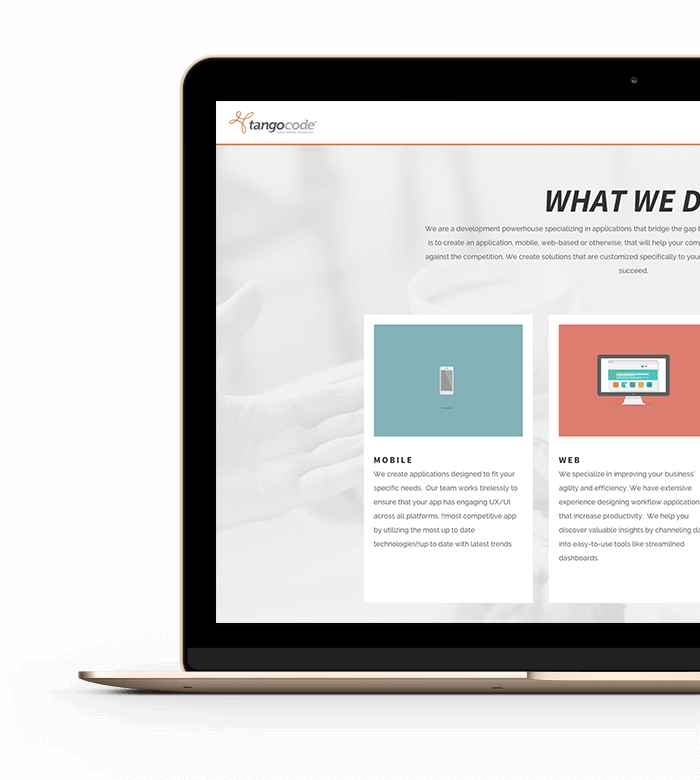 As new projects are completed, the TangoCode team will have the ability to launch new case studies on an ongoing basis via the WordPress CMS platform.